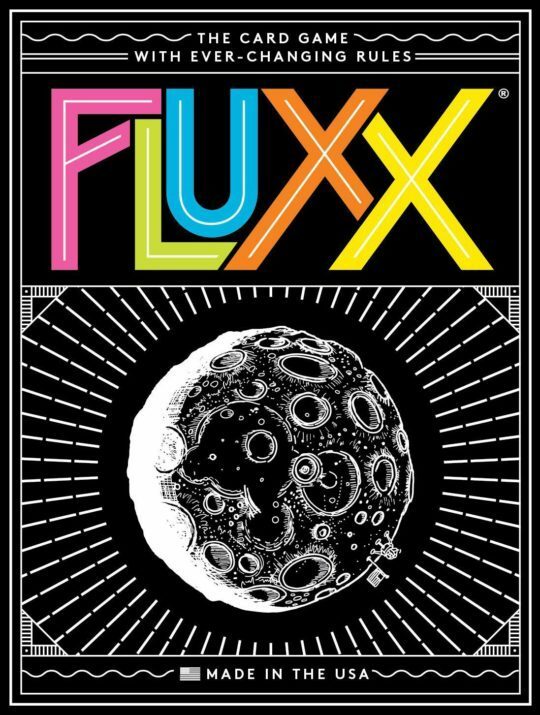 Fluxx is a card game in which the cards themselves determine the current rules of the game. By playing cards, you change numerous aspects of the game: how to draw cards, how to play cards, and even how to win. At the start of the game, each player holds three cards and on a turn a player draws one card, then plays one card. By playing cards, you can put new rules into play that change numerous aspects of the game: how many cards to draw or play, how many cards you can hold in hand or keep on the table in front of you, and (most importantly) how to win the game. There are many editions, themed siblings, and promo cards available.